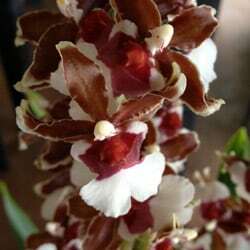 All orchids enjoy humidity and in order to mimic that environment in your home, simply fill a dish with pebbles and water and set the planter atop the pebbles, or, gently mist orchid plants during morning or early afternoon hours. Also, grouping orchids together helps provide a humid environment. Light These orchids like bright indirect light. They will thrive in eastern, or shady western or southern exposures. 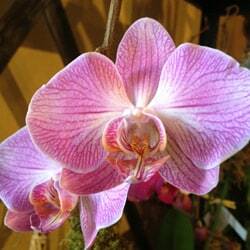 Please do not place Phalaenopsis in full sun. Let the foliage be your guide: leaves should be medium green, and firm. Floppy long dark green leaves means that the orchid is not getting enough light. Watering Allow them to dry out slightly before watering again. 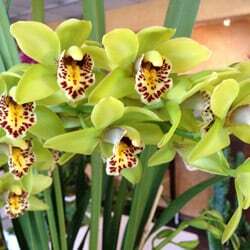 As with all orchids, water plants thoroughly early in the day, so that the leaves are dry by nightfall. It is especially important not to let water sit in the crown of the plant (where the leaves emerge) as Phalaenopsis are susceptible to crown rot. Water should be tepid, not cold and apply once every ten days to two weeks depending on the location in your home. Light These orchids like tiny pots and bright light. They will thrive in an eastern window, but never in direct sun. Watering Mature Dendrobiums should be dry between waterings, versus young Dendrobiums that need to be kept slightly moist and humid. When watering, be aware that Dendrobiums cannot tolerate wet, soggy compost which inevitably will damage and rot their roots. Watering once a week in the summer and every two weeks in the winter should be sufficient. Light High amounts of bright indirect light is the best, keep out of direct sunlight. Watering They should not be allowed to go dry, yet they don't care for a soggy environment either. Watering once every seven to ten days is about right. Light These orchids are more shade loving than the other varieties and should not be in direct light very long. 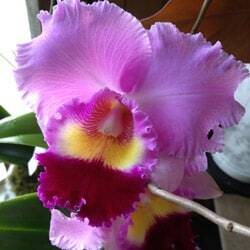 Away from an eastern window will provide just the right amount of light without overpowering this beautiful orchid. Watering Watering needs to be available constantly. 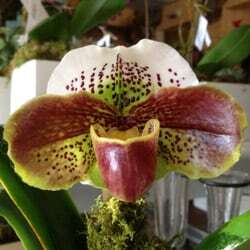 Paphiopedilum orchid care requires that they be moist and never dry or soggy. Watering twice a week in the summer and once a week in the winter should be sufficient. Light Bright light with no direct sunlight. Leaves should be bright green, not reddish green (too much light) or dark green (too little light). Watering Allow to become moderately dry between waterings. They need more water when forming a shoot and less once a bulb has formed and please keep water out of the base of the plant. Light Bright light, some sun. In the home, an east, west or lightly-shaded south window. Watering Mature plants must dry out between waterings. This orchid enjoys high humidity. 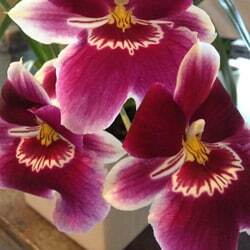 Light Bright diffused light is necessary to bring Miltonia into bloom; this can include a little sun (not direct sunlight) for up to two hours a day. 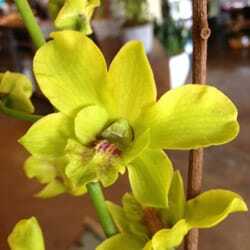 Watering Similar to the Lady Slipper, these orchids need to be constantly moist but not soggy. Watering twice a week in the summer and once a week in the winter should be sufficient. 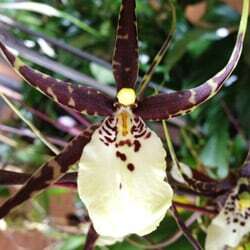 They have no dormant period, so constant year round attention needs to be paid to this orchid. Light They may be placed in front of a half-sunny window that receives direct sun from the east or south. If your room has a west facing window, just put the plant a bit further from the window. Watering Brassias should not be allowed to completely dry out between waterings but be careful to not over water. When potting medium starts to dry out to the touch, check below the surface and if dry, water immediately.